I looked at Cluck Cluck Sew’s heart quilt tutorial before I started. Allison’s is a great way for using up small scraps. I wanted to use up fat quarters so I came up with my own measurements to suit my purposes. She also has another tutorial here. Mine are 9.5″ x 10″ blocks so slightly different but a similar look. I got my backing fabric from Studio 39 Fabrics. This is “Petite Henna Garden” and she has it on sale here for $10.00 (Canadian) a metre. Love the pink! 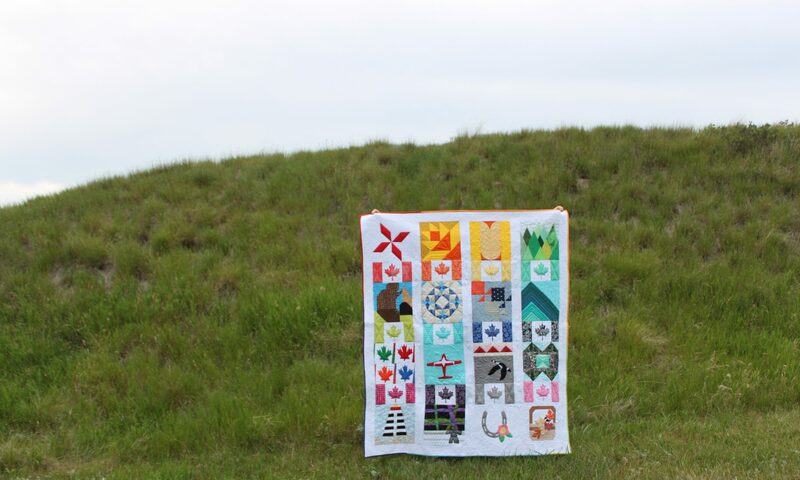 The hearts make such a happy quilt…and so big! Congrats on the pattern release too!